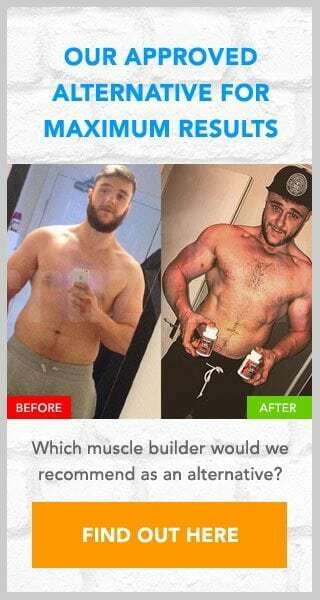 Using a supplement like Testostorm is claimed to help “build muscle fast”, but is this supplement as effective as it claims? In this review we will look at how effective this supplement is, and also look to see if there are any hidden charges we need to be aware of. Testostorm is available for trial, which is often a bad sign based on previous experience as these kind of offers usually have hidden and repeat charges attached to them. 4 Is Testostorm a scam? While initially impressive we know that we cannot rely solely on claimed benefits to make an informed decision about trialling a product. We will need to look more closely at the supplement itself to see if it can back up its claims, which we can do by looking at what ingredients it is made from. Testostorm is made using Testofen (Fenugreek), L-Arginine, Tribulus Terrestris and Rhodiola Crenulata as well as various other essential vitamins and minerals. There is a label present on the website and I can certainly see this supplement providing you additional help with achieving your muscle building goals. So far so good, whether we would recommend Testostorm or not will depend solely on its price. While there are a number of statements saying to “try it for free” this is misleading as no aspect of the trial is free. To start there is a charge for either $3.99 or $4.99 for shipping, then another charge for $74.98 just 14 days after you first sign up for the offer. These charges are contained within the terms and conditions, which is rarely read. So this fact and the subsequent auto-shipping will be hidden from the general user. This is certainly not the most expensive supplement on the market but the fact that it is claimed to be free, when it is not will surely lead to complaints once those who sign up are charged. It is certainly not a scam, but you need to be careful with trial offers like this. Always read the terms and conditions to find out exactly what you are paying for. If you have signed up for this trial and would like to leave a message with your own experiences then please do so by completing the comment form below. If you need a little help achieving your training goals then my suggestion to you would be to take a minute to browse the Crazy Bulk website. One product in particular will give you the gains in strength and size without the expense. Its name is D-Bal and it has been designed to mimic the benefits of Dianabal, the now-banned steroid. D-Bal is 100% safe and legal, however. It is also unavailable for trial, so you wont suffer from any hidden or repeat charges.